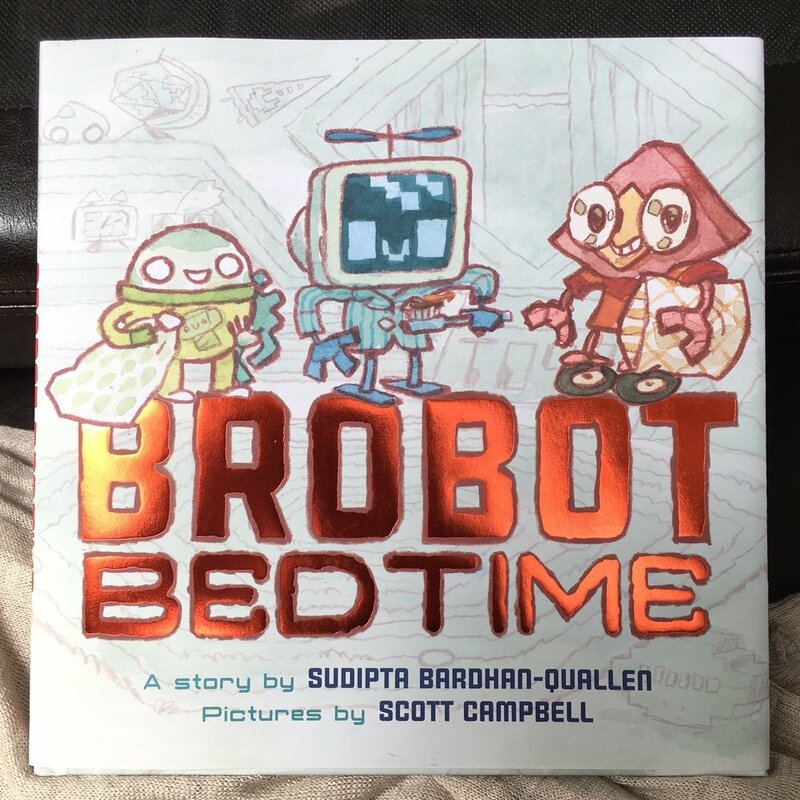 BROBOT BEDTIME – OUT NOW!!! — Scott C.
BROBOT BEDTIME – OUT NOW!!! BROBOT BEDTIME is the brand new book about three robot brothers who have a difficult time getting the heck to sleep! It’s a clever little story by Sudipta Bardhan-Quallen from Abrams Books. I had the great privilege of painting the pictures for it. Lot’s of paintings of robots in a bedroom setting. There are also ROBOT SOUND EFFECTS. You can look forward to that. It is out now all over the country! You can just walk into any bookshop and pick it right up!